simpliTV is a TV-product of simpli services GmbH & Co KG. simpli services is a subsidary of Austrian Broadcasting Services (ORS comm). ORS comm is responsible for construction and establishment of DVB-T and DVB-T2 in Austria. simpliTV is responsible for sales to the end-consumer. About 90% of all Austrians in state capital, big cities and their neighbourhood can watch simpliTV with indoor-, outdoor- and roof antenna. For using simpliTV, customers need a set-top-box or a CI+ Modul TV set which are HD-able. With the right receiving-sets the TV-customer can watch 40 great TV-programs, nine of them in HD-quality. Customers can watch ORF eins HD, ORF 2 HD and ServusTV HD for free, they only have to register. The customers can also watch up to 12 TV-programs in Austria for free. To best support simpliTV’s business objectives, Comarch was ready to provide simpli services with a compact, smart and simple solution. Thanks to its ingenuity, Comarch Smart BSS Suite was implemented in a short time frame and the wide spectrum of its functions ensured the desired cost efficiency. This approach runs parallel with simpliTV’s philosophy of offering their subscribers simple registration and quick access to services at a competitive price. Such a convergent approach of both companies helped determine a successful partnership. 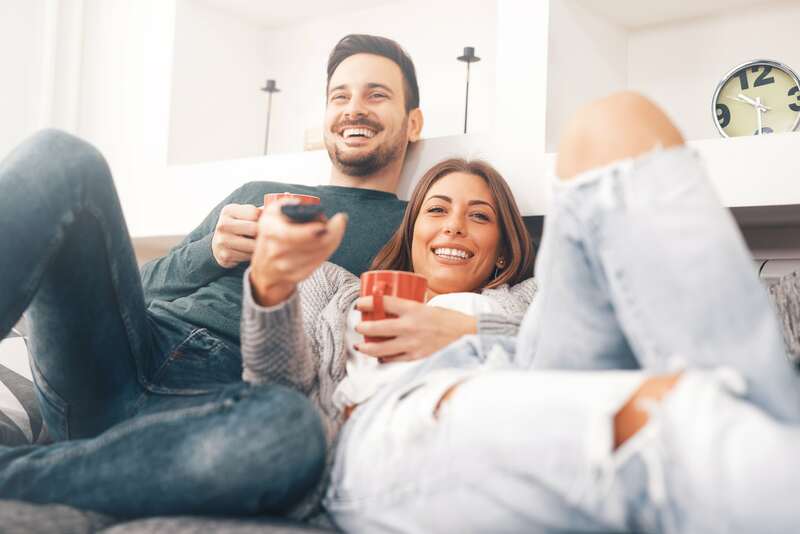 simpli services, a subsidiary of the Austrian Broadcasting Services (ORS), has launched an innovative terrestrial TV platform – simpliTV. Being a new player on the market, simpliTV began its business operations with an ambitious objective to win a market share of more than 12% for digital terrestrial reception. To achieve this, simpliTV needed to prove its competitive edge and convince potential customers that it is the best choice available. The company’s strategy was to show viewers how simple it was to register, activate the service, become a subscriber and benefit from its innovative and low-cost offer. The only way for ORS and simpli services to ensure this kind of customer experience was by implementing a tailored IT solution that would support all the necessary business processes and strategic objectives. Here is where Comarch stepped in and took full responsibility for achieving these goals thanks to Comarch Smart BSS Suite, a solution targeted at small and medium sized telecommunication operators and service providers. It covers eight main areas of operation – CRM, product catalog, service activation, self-care, billing, trouble ticketing, APIs and Web Shop – within an all-in-one compact solution. The system has been deployed to support end-to-end processes including sales support, order-to-activation, collection management and problem-to-solution and was perfectly capable of meeting the high expectations of ORS and simpli services. Comarch was ready to deliver a flexible solution with an open, convergent architecture supporting ORS’s business needs in the long term by facilitating the future introduction of new, prepaid services, controlled in real-time. Apart from that, Comarch presented a customer experience-centric approach and designed the solution with the ultimate goal of improving user experience in everyday operations for simpliTV subscribers. Comarch Smart BSS Suite is a modern product that can be used in two ways - as a standalone billing platform or a system that fully integrates with existing billing solutions. Comarch Smart BSS Suite is a CRM/BSS solution that covers the entire billing cycle area, from charging, billing and provisioning through to the generation of bills/invoices ending with payment management. The solution provides a full range of customer service including customer-oriented portals – CRM, Self Care and Web Shop. To successfully support the launch of simpliTV, Comarch delivered a smart system that contains all the necessary features to run daily business operations smoothly and, as a result, ensure subscriber satisfaction. The first phase of the project was successfully completed within a very ambitious time frame corresponding with the scheduled launch of simpliTV. With the end users in focus, the implemented solution contains modules ensuring the best possible customer service, such as a user friendly web-based portal and CRM.